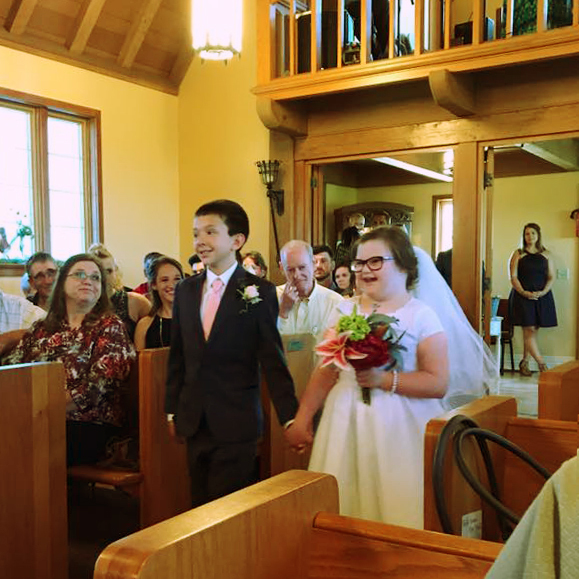 This picture is from the recent wedding of Natalie Hagan, a great gal who has helped implement NACD programs with these two terrific kids—Abby and Lucas. Between these two proactive families, their schools, and caring individuals like Natalie and Debbie Hayden, the OT that referred them and has helped them implement their programs, we have a great model of what can be, what should be, and what needs to be. Potential needs to be defined by opportunity and not by diagnosis or label. Outcomes for children with the same or similar labels can be dramatically different, with those outcomes largely being predicated on the opportunities provided. Abby and Lucas both have wonderful families—families who have been great at getting their NACD programs implemented, advocating for their children, and looking toward their children’s futures. In both cases, the kids’ schools have learned to cooperate with and support the parents in the implementation of their NACD programs and their goals, and in addition have provided appropriate class placement and support. Both families have also successfully found help at home to assist in completing the children’s individualized NACD programs with excellent results. I spoke of Lucas in a previous post, so now let’s talk about Abby. Abby was referred to NACD by her occupational therapist when she was just over a year old. Abby is now an eight-year-old who will be entering the 3rd grade in a typical classroom and who is doing well academically and socially. She is involved in Girl Scouts, ballet, and she plays softball. Abby is a star, loved by classmates and everyone who is fortunate enough to know her. She is an entrepreneur. She also has Trisomy 21 (Down syndrome). Abby is actively helping with the first litter of puppies and is learning how to care for the dogs. The plan is for her to learn dog training and handling, with the goal of developing a business involving dog breeding and dog handling, as well as a companion and therapy dog program. One of the very difficult realities that most adults with Down syndrome and many adults with other developmental issues have is that the world is often only welcoming up to a certain point. Through the years, we have seen young adults with good academic function, good social skills, and even college degrees that could not get a job even close to commensurate with their abilities and skills. Imagine a child with Down syndrome working hard, with a ton of support from their family, academically competing with their peers, getting the same high school diploma as their classmates, having in many cases more appropriate social skills than most of their peers, and then being encouraged to pack groceries or move grocery carts upon graduation by their vocational advisors. This is obviously something that must change, but until it does, families having or starting businesses for their children is a very viable alternative for proactive families. Abby is a delightful, happy, wonderful, contributing and beautiful child with a bright future. When everyone works together–parents, caregivers, therapists, school administrators, teachers, community members and organizations–to help the family achieve their goals for their child, there should be no limits. What can be, what should be and what needs to be. Potential is defined by opportunity. P.S. – Often at the conclusion of Abby’s visits with me, she stops at the door, turns around, gives me a huge Abby smile, waves, and says, “Bye, Bobby.” Gotta love this kid! This entry was posted in Challenging the Status Quo, Child Development, NACD Families and tagged child development, dogs, down syndrome, education, jobs, kids, parenting, Pets, potential, special needs on August 11, 2017 by Bob Doman. One of the great rewards of my work is hearing updates from families I’ve seen in the past. Now that I have been working with kids for fifty years, some of these kids are actually getting fairly old themselves. I recently heard from one of the families I worked with in the 80’s and surprisingly, also heard from two other families that I hadn’t seen in decades on that same day. It was a very nice day! When Mark Turner’s mother wrote to me to let me know about the terrific things Mark was doing and to thank me for the help we had given her when he was a young boy, I was surprised, as I was immediately able to picture Mark, his Mom and to recall specific events from his evaluations. At NACD we all refer to the kids as “Our Kids”—not patients, clients, labels or diagnoses. The families of “Our Kids” are “Our Families”. I don’t know to what degree most of the families perceive others on our team or me as part of their families except for obvious exceptions, like those who refer to me as “Uncle Bob”, but we do feel like part of theirs and feel honored to be able to help them and participate in their children’s development. Mark is doing great and breaking new ground for those with disabilities, but I will let his mother tell a bit of his story. Needless to say, I am very proud of Mark and his Mom and really appreciate their taking the time and reaching out to me. I hope they can be an inspiration for others, they have been for me. It is natural for parents to feel concerned about how to help their children live fulfilling lives. Parents of children with special needs have additional concerns. My son, Mark Turner, was nine days old when he became paralyzed due to complications related to a congenital heart defect. He is now 39 years of age and enjoys a very rewarding life. We attribute a good deal of his success to the program developed by Bob Doman and the National [Association] for Child Development. I am so grateful for all the recovery Mark has experienced on this program and have the peace of mind that comes from seeing him achieve his dreams. Mark’s story is shared in the hope of inspiring others to believe in themselves, do the rigorous work that it sometimes takes to meet life’s challenges and to follow their own dreams. Mark’s paralysis occurred in the lower portion of his body. 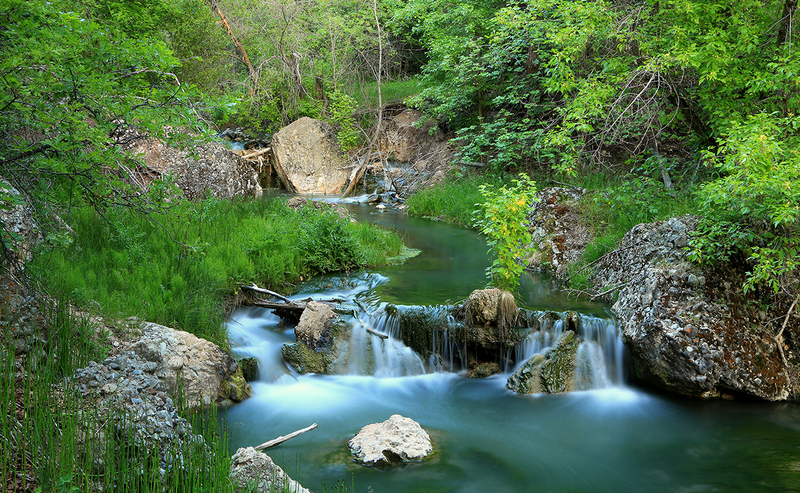 He was originally placed on a traditional physical therapy program that utilized the best practices traditional medicine had to offer at that time. He made good progress and yet, when he was two years old, I was shocked to learn that the next phase of his program would be occupational therapy. The new goal would be to teach him to cope with his special needs. The widespread belief at that time was that significant neurological return was not likely to occur after two years from the time the paralysis began. Giving up hope for recovery was unacceptable, leading me to search for a program that would further the neurological development that he was still experiencing. Eventually we connected with NACD. Bob Doman and his team, taught Mark’s brain about the part of his body that did not adequately receive neurological signals. Mark participated in the NACD program for about twelve years and made significant progress. One of my favorite examples occurred when he was about four years old. He was sitting in the seat of a grocery cart facing me and talking excitedly about something. All the sudden, he started moving one of his legs from side to side. Wow! He had moved this same leg from front to back, but never side to side! It still touches my heart to recall this precious moment. While on the NACD program Mark developed a great deal of confidence in his physical abilities, and his self-esteem was significantly enhanced. He came to believe he could do anything he wanted to do in life and Bob was one of the biggest supporters of Mark’s ever growing confidence. 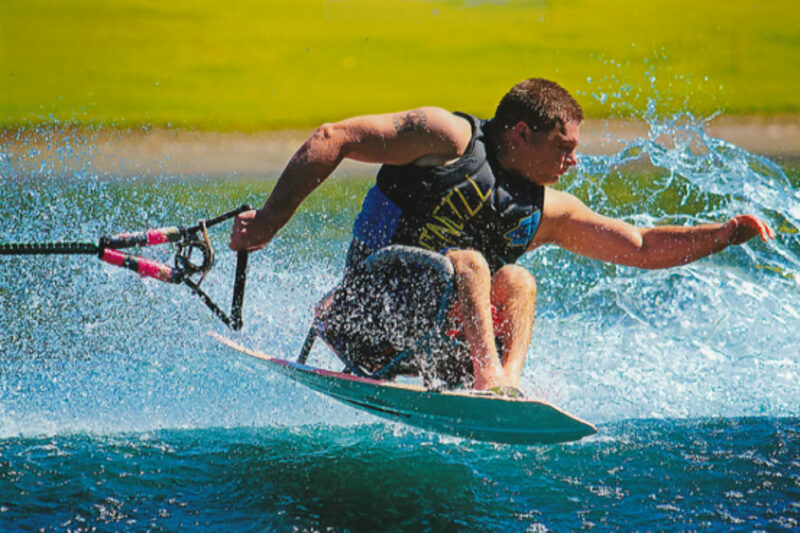 When Mark was 13 years old, he began participating in disability waterskiing. He loved it and his desire to improve his skills also became a strong teacher of his brain. Every time he would set a goal to reach his next challenge in slalom, trick and jump skiing, his brain had to figure out how to use his body in a new and very specific way related to each type of skiing. Mark eventually became a national champion and was a member of the United States Disabled Water Ski Team competing in five world events. This provided the opportunity to travel throughout many countries, including England and two world events in Australia. He received the title of World Champion in slalom skiing, and has held two world records in this event. He has also held the title of Best All Around (slalom, trick and jump) for his division. Mark is now making world history in a new way. A few years ago, he was doing exhibition skiing at tournaments for skiers who do not have physical disabilities. Exhibition skiing is a very important way to get the word out about disability skiing. While he was watching the other skiers, Mark realized he had a good chance of competing and placing. He has become the first skier in the world with a disability to win medals in his age category at tournaments for skiers with regular needs. Currently, he has placed in the top tier at the state and regional levels and has skied in the national championships. Much of Mark’s incredible drive and self-confidence can be directly attributed to the tenacity he developed while participating in the rigorous NACD program. He and I would like to thank the team at NACD for all they have done, and to thank everyone who has supported this extraordinary organization in any way. To all the parents of children in programs at NACD, may you experience the kind of peace of mind and joy that we have found with NACD guiding the way. This entry was posted in Challenging the Status Quo, Human Potential, NACD Families and tagged athlete, kids, occupational therapy, paralysis, parenting, potential, program, special needs on May 24, 2017 by Bob Doman.